The holidays are here again. It is the busiest time of the year at the Food Pantry supplying the groceries for 800 Thanksgiving meals; running a coat drive to provide 300 new or gently used coats, hats and gloves for children and adults in need; Christmas stockings and gifts for 300 kids in the community. Since the opening of The Family Feeding Center in April 2014 our focus has been on this new addition to the Shepherd’s HOPE family. I want to thank you all for your support. The Family Feeding Center is currently funded through November 2014. We are still in need of $20,000 to be able to keep providing 600 people the hot meals we serve each week through June 2015. 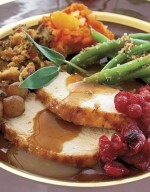 Thanksgiving (grocery distribution day is November 25). We expect to provide groceries for 800 Thanksgiving meals for our neighbors in Englewood, as they reach out to us for a helping hand during this holiday season. We were able to keep the cost for all these groceries for a Thanksgiving meal to only $6.25/family. Please help us make this Thanksgiving one that 800 families in Englewood will remember and give praise to God for all He has done in 2014. Staying warm this winter is a must. With your help our goal to provide 300 winter coats, hats and gloves (new or gently used) for children and adults can become a reality. Please share this opportunity to bless our neighbors in Englewood with family, friends, neighbors and others at your workplace or in organizations you belong to. What a great way to share the Shepherd’s HOPE journey in Englewood and at the same time keep 300 people warm this winter. Join our Coat Drive Team and let us know you would like to participate. Click here to print a sign-up form or email us. Christmas in Englewood is not like Christmas where we in the suburbs live. Most of the children in this community are lucky to have a Christmas tree. Gifts are few and far between. Our goal for this Christmas is to make 300 children smile with a stocking full of goodies and a gift. This is often the only gift this child will receive. The cost for the stocking and small gift is about $10.00. Please help us make this a Christmas 300 children will remember. For almost 6 years we have developed relationship and trust with our neighbors and because of that trust they look to us when times get tough because we are like family. These relationships could not have taken place without your support. The need has never been greater. At this time of year more than ever people need to know that someone cares. Please help Shepherd’s HOPE be there again this year for our poverty-stricken neighbors.